Last week, our church staff had the opportunity to retreat together to a lovely home- away from our computers, away from our desks, away from our offices, away from ringing telephones. . . well. . . most phones! We sang together, we prayed together, we shared Scripture with each other, we spoke truth to each other. . . it was a lovely blessing and privilege to experience such peace and encouragement at the beginning of what can be an extremely busy and demanding time. Our children feel this too. . . the demands and business of the season. . . There are programs, there are concerts, there are parties, there are crafts, there are expectations of them to behave often past their bedtime, to wear certain clothing and smile. . . it can be a lot for them to handle! As we enter the Advent season, let us remember the real meaning of why we celebrate, and most importantly, communicate that truth to our children. We celebrate because Jesus came to be with us. We celebrate because the Father blessed us with the gift of the Son. We celebrate because we are known by the Father. So many reasons to celebrate. . . my prayer for you, and for me, is that we would keep this at the forefront of our mind during this Advent season. A little bit of peace can go a long way! 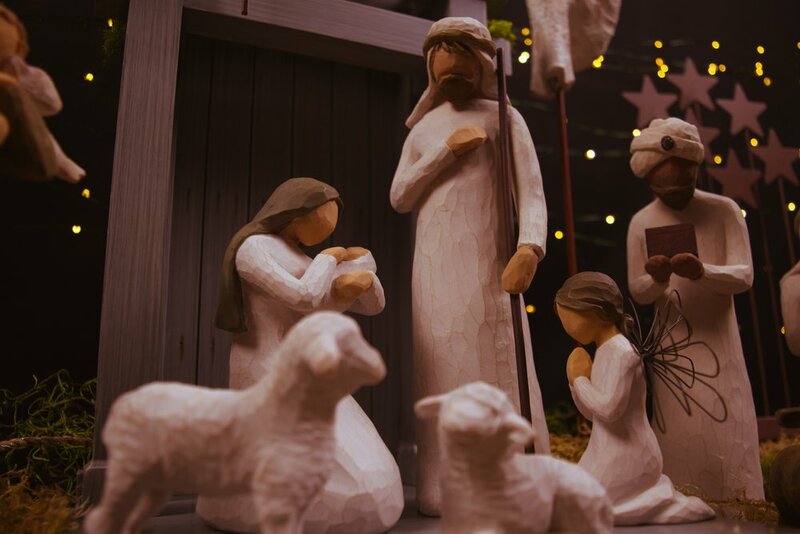 Lesson Goal- Students will see God’s grace in human history through the birth of the Son of God. 1. God is sovereign and shows grace to sinful men. 2. Jesus is both God and man. 3. Joseph showed faith when he obeyed God’s commands. 4. Jesus came to save people from their sins. 1. Praise God for His sovereignty and grace in the lives of sinful men. 2. Understand the importance of Jesus being God and man. 3. Explain what the name Jesus means. 4. Recognize that even the best of men are not good enough, which is shy we need a Savior. Lesson Goal- The student will hear God’s Word, understand it, and bear good fruit. 1. Jesus taught many lessons in parables. 2. The parable of the sower teaches how different people responded to God’s Word. 3. God chooses who will understand His message.